Your dream of owning your own home is a smart investment and it’s doable. It’s been that way for a century. With all the negatives you hear about the economy, home prices, huge down payments, and the cost of living, you may have been pushed into a state of denial and apathy. First time homebuyers, it’s time to wake up and get your slice of the housing market. But, before you contact a real estate agent and mortgage agent, let’s get you pumped up! One of the keys to happiness and success is the belief in limitless supply, personal ability, investment opportunity, resources and potential wealth. Believing this way puts you into a great frame of mind that help carry you through no matter what home buying frustration you face. It’s a buffer against the negative insanity the system throws at you. There are no limits, only what we impose on ourselves through our beliefs. So if you’ve given up on home ownership, you’ve accepted a unworthy, negative and potentially harmful belief. Time to get positive about real estate investment and home ownership. To succeed at anything, we need to dream up all the paths to our goal. If you don’t have money, you could borrow it, partner with investors, find government home ownership programs, earn it, or get your relatives to help you out. You don’t necessarily need 20% of the purchase price of a home to buy. How many people have $100,000 to put down on a home purchase? There are mortgage and financing solutions available. If builders are building, and the economy isn’t going to tank, buying a home is likely a good investment from New York to San Diego. Owning a home is usually a great idea even if prices are high. Prices on homes will always go up and they rarely go downward. There’s plenty of demand because a so many millennials and baby boomers need a home for one reason or another. That’s why prices are high. They’re also high in many cities due to a lack of development land. If legislators in your state or municipality are eager to suppress development, then there will be strong demand for the few homes there. And if they open to development, the influx of new buyers will drive up land and home prices. 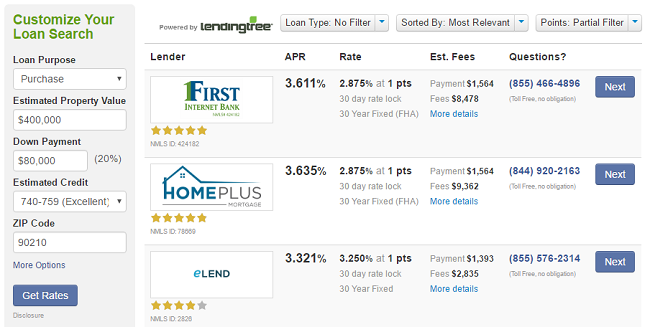 Check out mortgage rates on a $600,000+ home in Beverly Hills for a buyer with a ordinary credit rating and less than $20,000 down. That’s right, infinite benefits. If you’re between 25 and 35, ownership of a home represents an excellent long term investment. Having a home (large investment) also helps keep your life focused, stable and productive. This is a key reason why older generations have pushed their kids into buying homes in the past (when homes were cheap). Renting in contrast, has an aimlessness about it that keeps renters floating along never setting their feet on the ground and never building equity. Instead, they see all their hard earned money siphoned off by landlords and they find it hard to get a feeling of putting down roots as they say. When they’re older, renters can’t help but look back with severe regrets about the hundreds of thousands of dollars they gave away. Picture yourself at 60 with nothing to show for a lifetime of toil in 9 to 5 labor. Great Tip: If you have a work at home business, you can write off your business expenses which helps pay down your mortgage sooner. But not you. You have a choice to make right now to keep your hard earned dollars and invest them in something that will have an immense value 30 years from now. Many buyers in the 70s and 80s are now selling their homes for 3 to 4 times what they paid for them. Some in the 60s might get more than 20 times what they paid. Whatever your house or condo is worth in the years ahead, it’s yours. That’s the point. You will feel more comfortable every day of your life, more secure and confident knowing you own the property you live on. That sense of security, belonging, and confidence is important. In California, Texas, Illinois and New York state you don’t need a down payment. You can borrow for the entire purchase. If you have credit card accounts, you may be able to ask for a raise in your CC limits to use for the purchase of a home. Remember, that renter’s don’t get tax credits, but homebuyers do! Visit market watch to discover what tax credits you might qualify for . The Downpayment Problem — Solved! Having money for a down payment is always good. If you’ve got a bank of mom and dad, use it if you can. On a traditional home mortgage you will need 3% down payment. If you can raise 5% for your home purchase, a wider array of financing options become available because of how you look better to lenders. If your loan amount for the home purchase is above $417,000 for a single family home, you’ll have to raise 10% using with conventional financing. This will be called a Jumbo loan. If your downpayment is zero or a low percentage, you’ll need mortgage insurance. The FHA or Federal Housing Administration insures mortgage loans with as little as 3.5% down payment. In California, the loan limit is up to $520,000. Visit the California Housing Agency to discover education and home loan programs to help you buy a home. They have assistance, advisors, first time buyers education courses, info and guidelines to learn on program eligibility and property eligibility. Don’t forget local county programs. Most cities and counties in California for instance have homebuyer assistance programs designed for their residents. These may include loans for first time buyers, down payment assistance, and funding for property rehabilitation. The USDA offers programs to help buyers in rural areas. USDA loans don’t require putting any money down, however USDA has eligibility requirements, including income and property size. Check out Freddie Mac’s HomeSteps program of homes for sale. 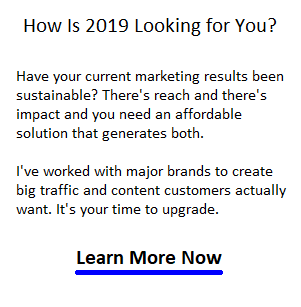 Real Estate Lead Generation Company in Los Angeles, Phoenix, Denver, Seattle, Chicago, Boston, New York, Dallas, Houston, San Antonio, Austin, St Louis, Minneapolis, Green Bay, Charlotte, Tampa, Miami, Orlando, Toronto, Vancouver, Montreal, Ottawa, Oshawa, Hamilton, Newmarket, Richmond Hill, Oakville, Calgary, Kelowna, Mississauga, Anaheim, Beverly Hills, Malibu, San Diego, San Francisco, San Jose, Fresno, Santa Clara, Sacramento, Mountainview, Palo Alto, Portland, Washington, Atlanta, Irvine, Nashville, Sunnyvale, Salt Lake City, Riverside, Rancho Cucamonga, Costa Mesa, Thousand Oaks, Simi Valley, Raleigh, Albuquerque, Glendale, Oceanside, Long Beach, Huntington Beach, Carlsbad, and Santa Clarita.